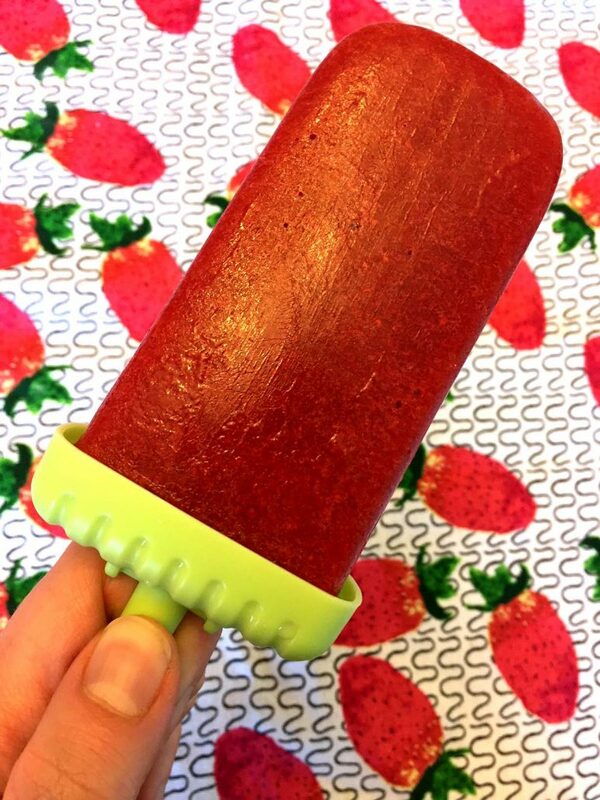 These healthy homemade strawberry popsicles have just one ingredient – fresh strawberries! 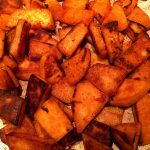 So easy to make and no added sugar! 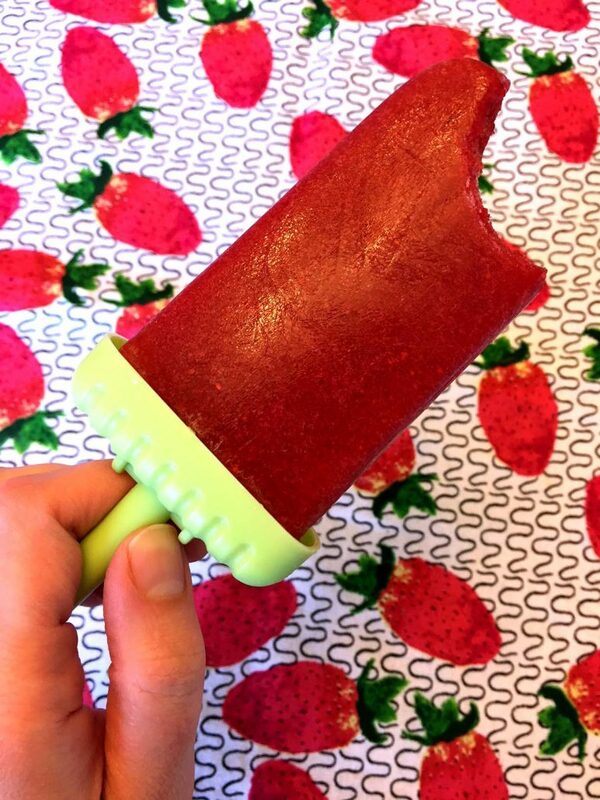 These amazing strawberry popsicles are 100% fruit! It’s like eating pure healthy fruit in a popsicle form! 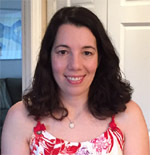 If you ever looked at the ingredient label of store-bought popsicles, you know they are laden with sugar, artificial colors and preservatives. Sugar is often the first ingredient on the list, meaning that there is more sugar in those manufactured ice pops that the actual fruit! That makes better profit for the stores and factories because of two things: one is that sugar is much cheaper than fruit, and two is that people are really addicted to sugar and the sweeter are the pops, the more people will like them and buy them! 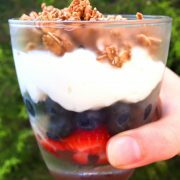 If you want to take control of your health and cut down on sugar, you don’t have to forgo delicious frozen treats – just make them yourself! 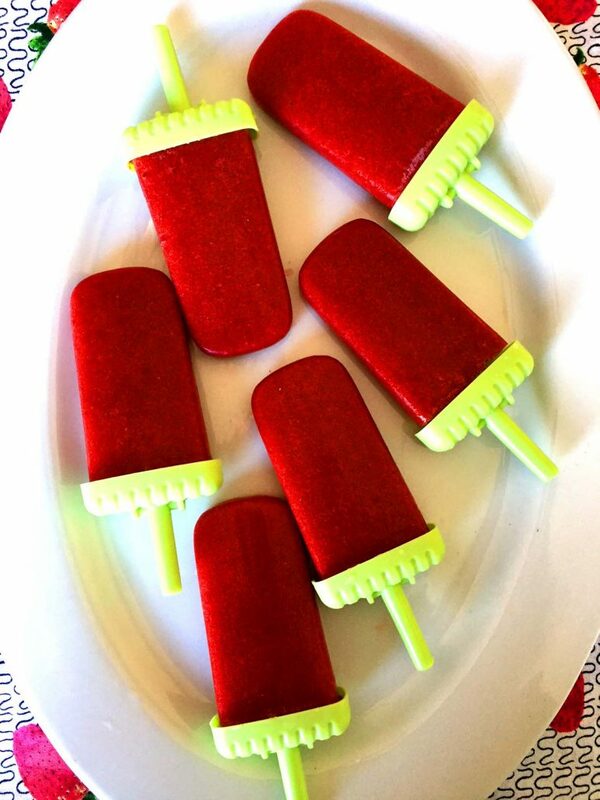 These sugar-free strawberry popsicles are so easy to make and so delicious! Once you make healthy popsicles yourself, you’ll never want to buy popsicles at the store! Have you ever seen kids lips, tongue and face get stained with artificial color after eating store-bought popsicles? That fake color often doesn’t come off for days, yuck! This will never happen with homemade ice pops, as there are no artificial colors in them! Just bright-red REAL strawberries! 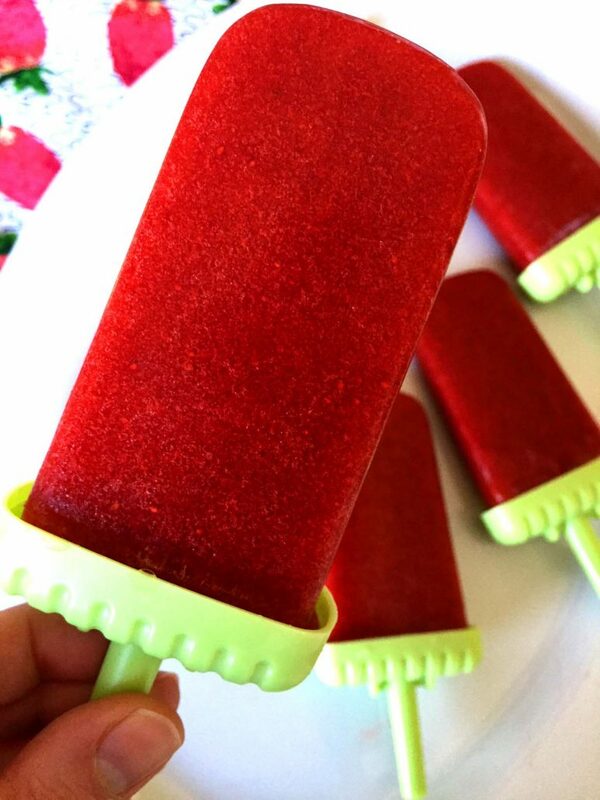 Look at that vibrant red color of these homemade strawberry popsicles! This color is all natural, no creepy “red #4” 🙂 When the popsicles are 100% strawberries and are not diluted with water and sugar, the bright red strawberry color really comes through! 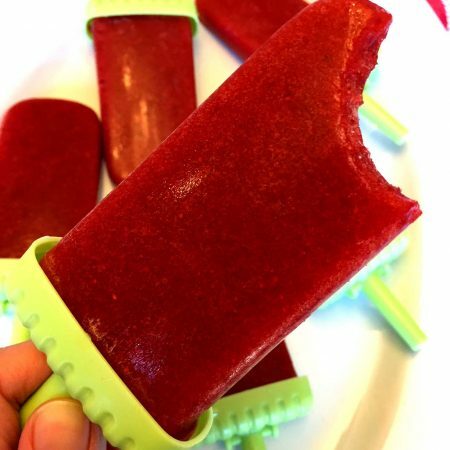 These sugar-free strawberry popsicles will fit into any diet, even keto! 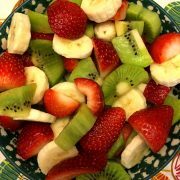 Strawberries are relatively low in carb compared to other fruits, and according to keto guidelines you can have strawberries in moderation! One of these strawberry popsicles has approximately 3 g of net carbs. 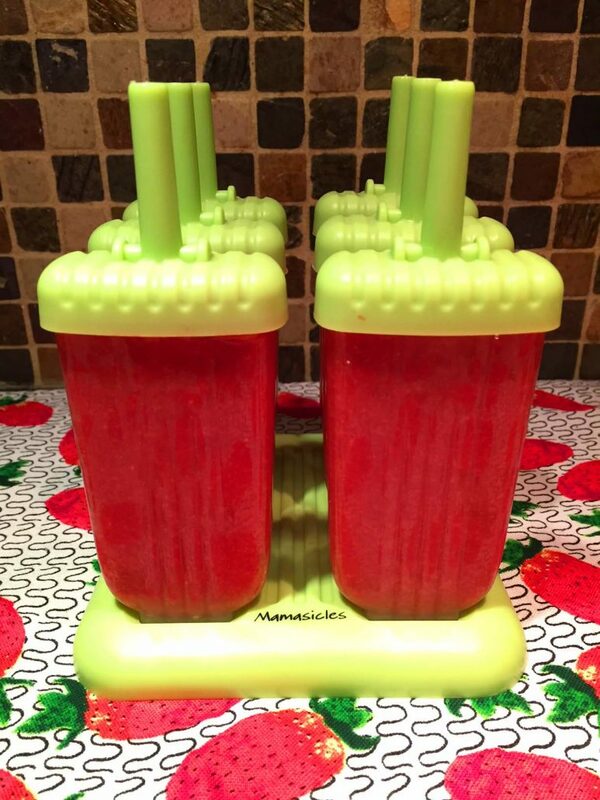 Making these yummy healthy strawberry popsicles is really easy! 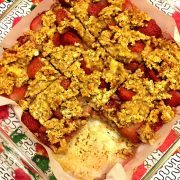 There is really just 1 ingredient – fresh strawberries! 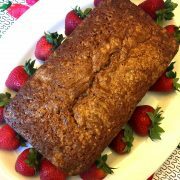 All you need to do is wash the strawberries, remove the stems, put strawberries in a food processor or blender and process until smooth. 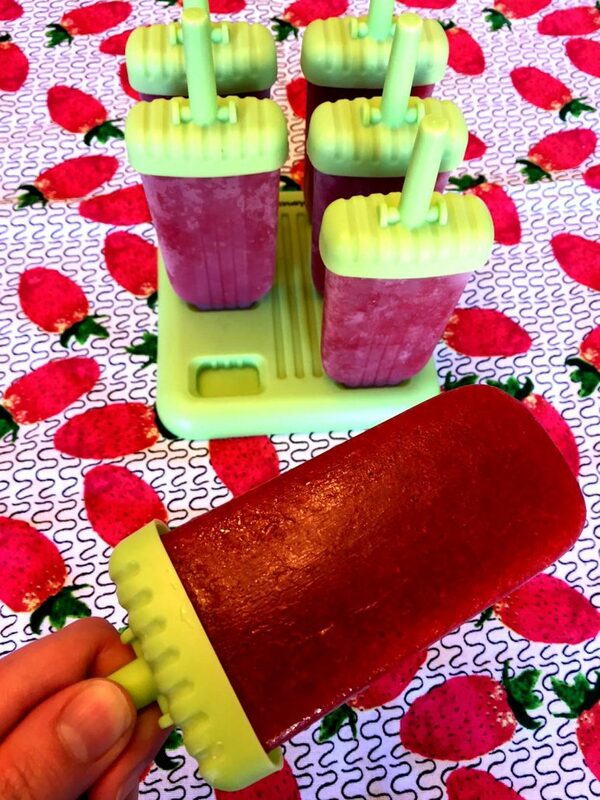 Pour strawberry puree into popsicle molds and freeze until solid. That’s all there is to making homemade popsicles! 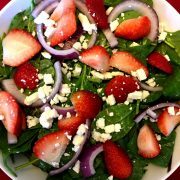 Try the strawberry puree before freezing it and see if you feel the need to add sugar. I never do (I drink unsweetened tea and coffee, after all), but if you would really like more sweetness add some honey or liquid Stevia to taste. Liquid Stevia is a natural herb sweetener that has no calories or carbs, so it’s a sweetener of choice for Keto diet. 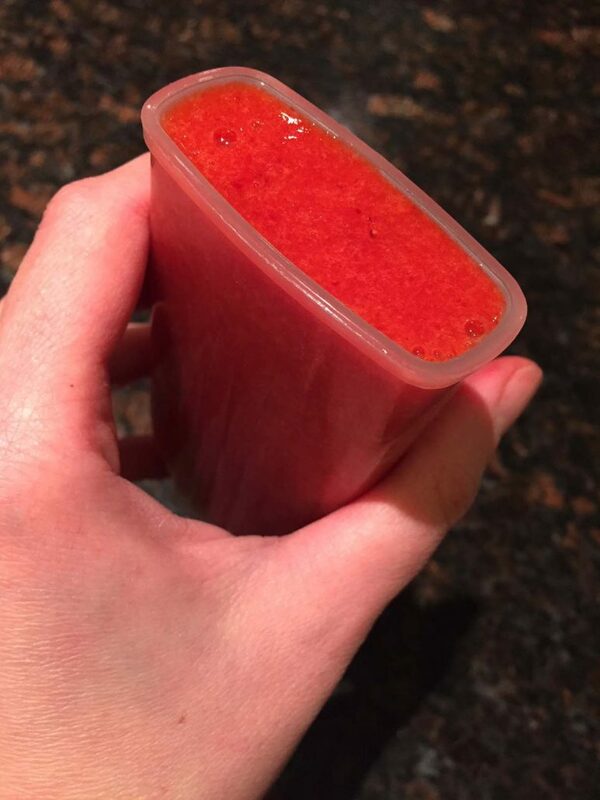 Don’t own a popsicle mold? 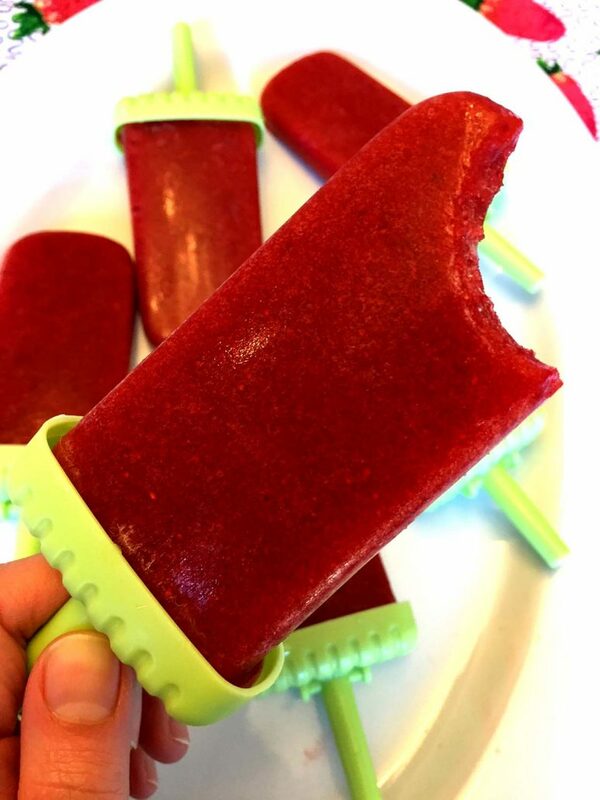 You can still make popsicles – pour strawberry puree in paper or plastic cups, add sticks and freeze. If you enjoy popsicles, I highly recommend getting a popsicle mold because it produces much better looking popsicles then cups 🙂 It’s really inexpensive and reusable, so it’s definitely a worthy addition to your kitchen! Watermelon Lime Popsicles – delicious homemade ice pops made with watermelon, lime and raspberry! So refreshing! Homemade Chocolate Covered Strawberries – everyone loves them and they are super easy to make at home! Paleo Chocolate Ice Cream – this recipe will change the way you eat ice cream forever! It’s a chocolate ice cream that’s HEALTHY (vegan, dairy-free and free of refined sugar)! No ice cream machine needed, you owe it to yourself to make it ASAP! Keto Mug Bread – a bread without carbs that tastes like real bread! You just have to try it to believe it! Grain-Free Pancakes – healthy high-protein pancakes without any grains in them! 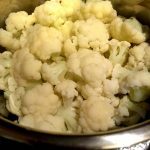 So simple to make with just 3 ingredients! 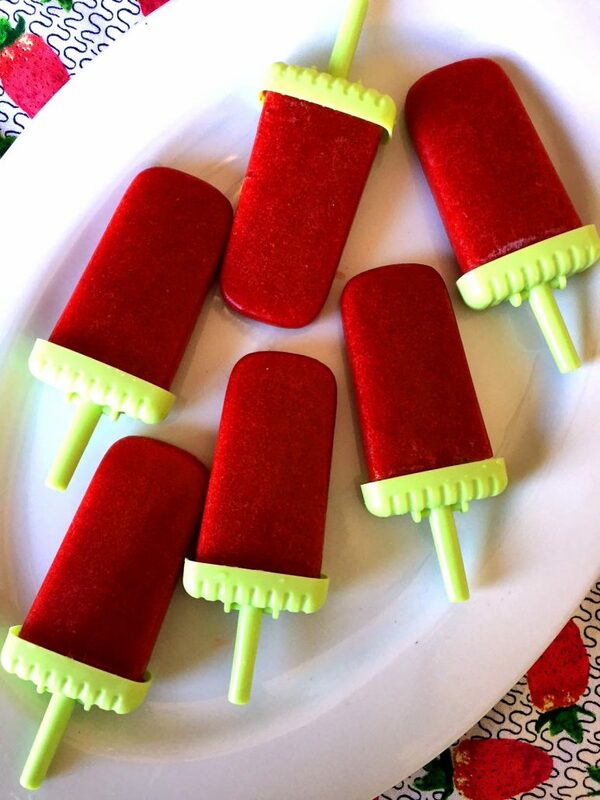 These homemade strawberry popsicles are so healthy and delicious! Made with fresh strawberries and no added sugar, these popsicles will become your favorite healthy treat! 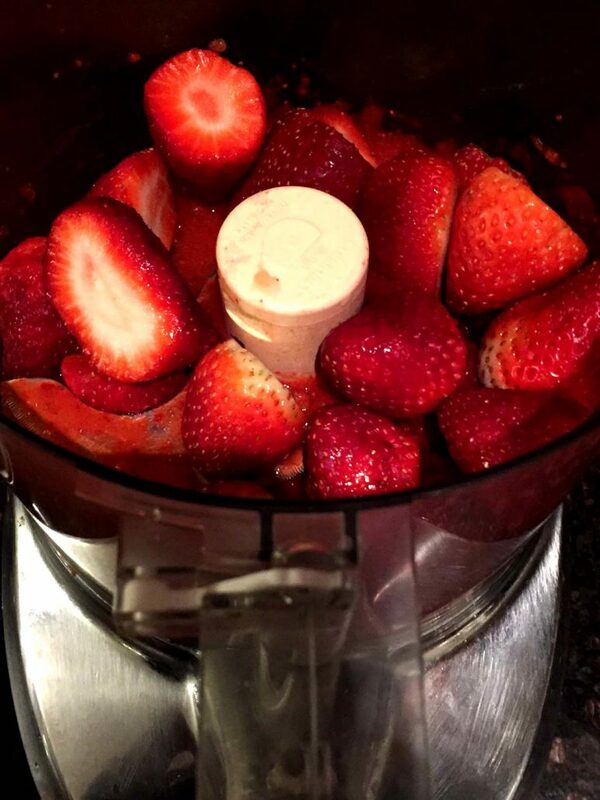 Put strawberries in a food processor or blender and process until smooth. 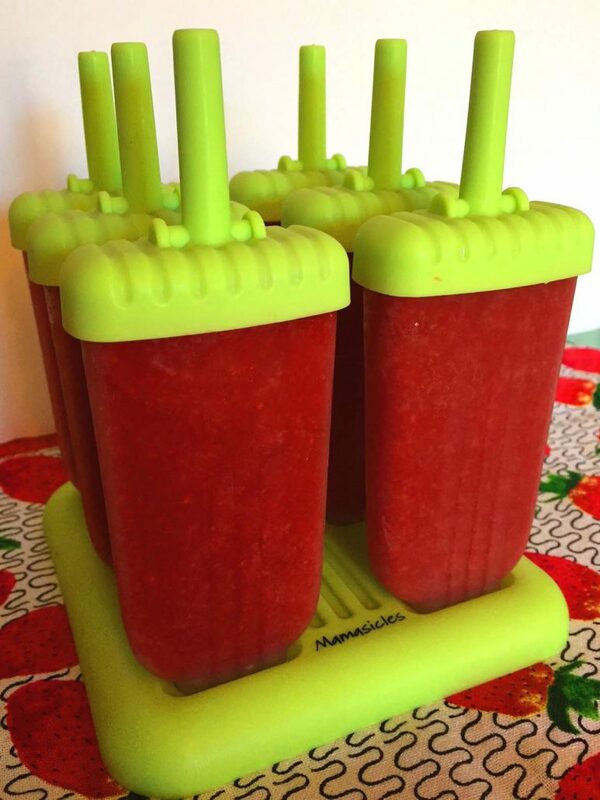 Pour strawberry puree in popsicle molds and freeze until solid. 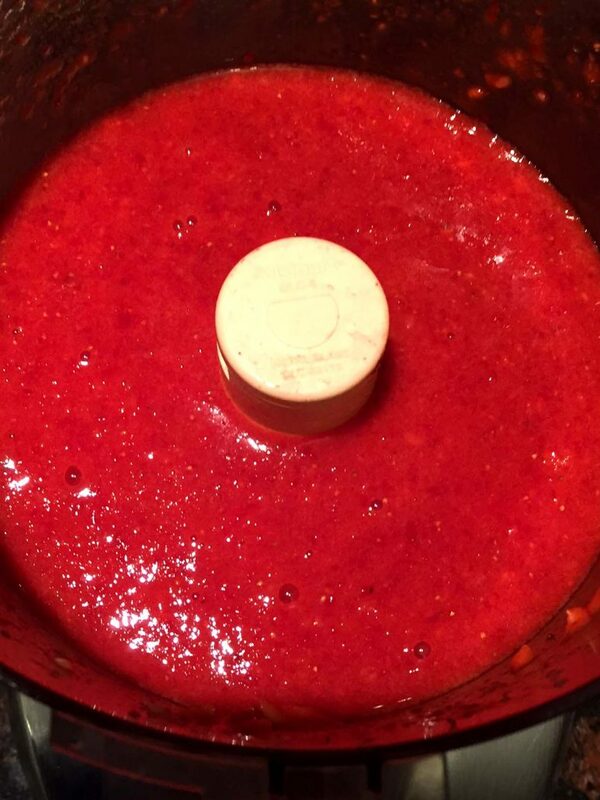 If you prefer more sweetness, add liquid Stevia to taste to the strawberry puree before freezing. 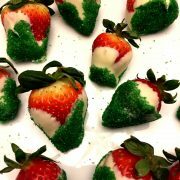 Christmas Chocolate Covered Strawberries Recipe - Red, Green and White!